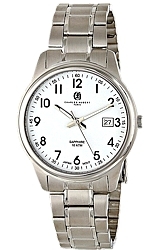 The SEIKO model SNE064 has the classic white dial with black numerals. The case and bracelet are Goldtonel stainless steel. 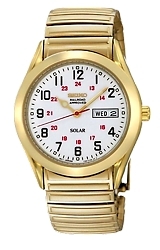 This model features BOTH the Day and Date Display. 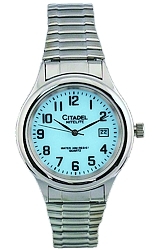 The crystal is SeIKo's famous Hardlex, strong and scratch reisstant. And this watch is water resistant to 30 meters or 100 feet below sea level.